Why isn't the return key visible on Swiftkey? Using swiftkey 5.1.2.75 downloaded today. Also using textra as my SMS app. For some reason the return key on the main typing screen is not available. Where a return key normally is now has an envelope (for actually sending the text) along with the emoji button. I can get to the return key if I go into the emoji screen but I don't think something that basic like a return key should be on a secondary screen. Anyone else have this or know of a fix or what I need to do to make it visible? 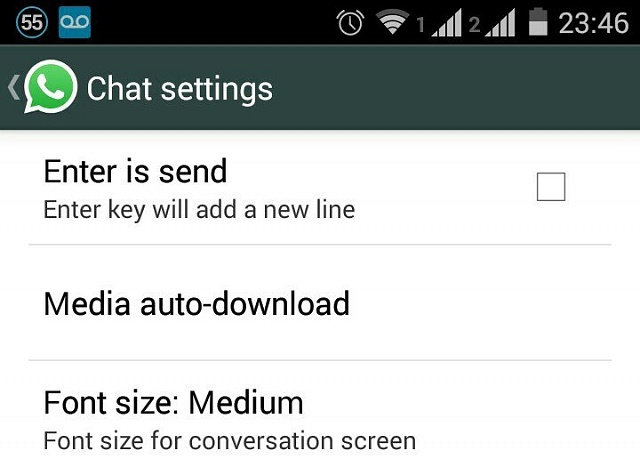 In some apps, like whatsapp, there's a setting for the enter key. Make sure that "enter key will add a new line". Widgets not updating after recent updates. Why does my camera turn on when receiving a text? Why does my Galaxy Note 4 still vibrate when on silent?